“Amjad Khan and I struck a good friendship during Sholay. 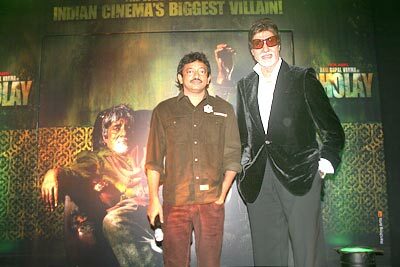 In fact, I wanted to play the role of Gabbar Singh and I told this to Ramesh Sippy (producer-director of the original Sholay),” Amitabh Bachchan said in a statement at the Le Meridien hotel in suburban Mumbai at a function held to reveal Gabbar’s Singh’s new look.It has been three days since the shooting of Ram Gopal Varma’s Sholay remake has begun and the film is expected to be released in May 2007. “30 years ago Gabbar Singh was the villian of Sholay, but today I think he’s the real hero. This film is the greatest challenge of my life,” Varma said. “I am overwhelmed and embarrased to unveil this new look,” said Bachchan.